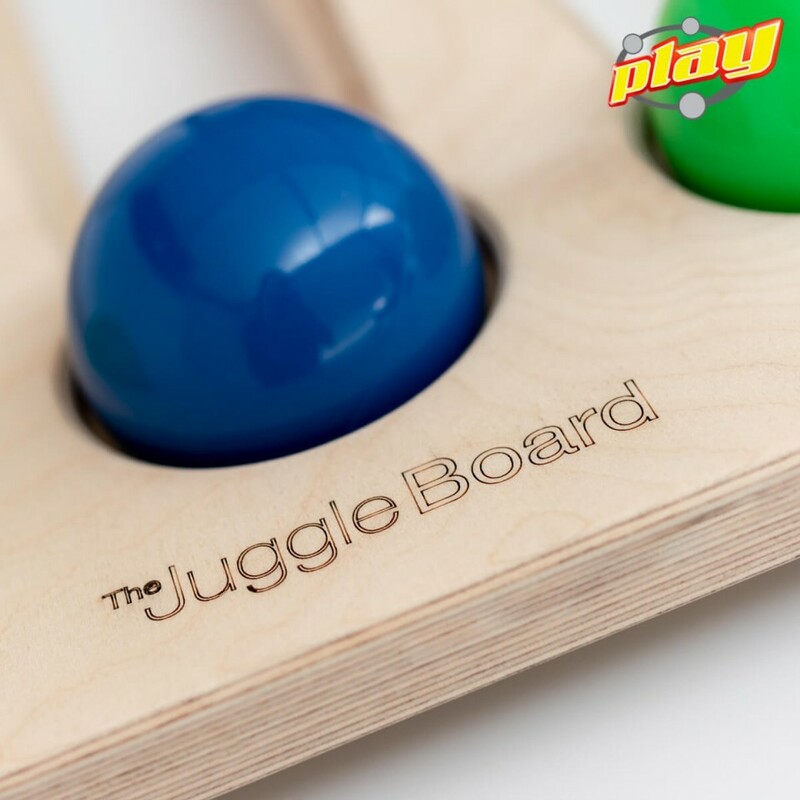 The JUGGLE BOARD takes the traditional challenges of juggling & adapts them to form a fully accessible environment. 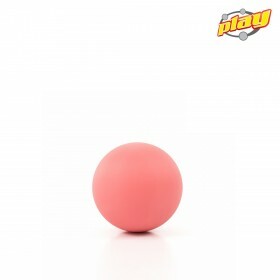 Instead of throwing, it uses tracks to control the balls so you can roll them back & forth. 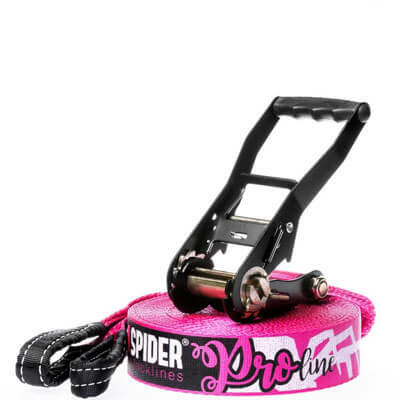 The World's first platform to facilitate inclusive juggling. The JUGGLE BOARD takes the traditional challenges of juggling & adapts them to form a fully accessible environment. 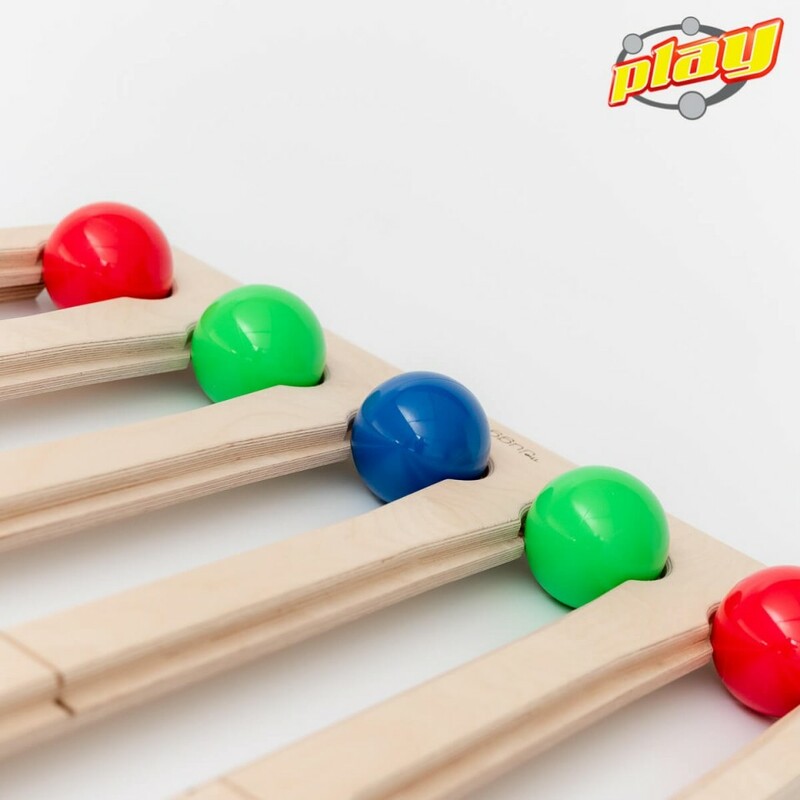 Instead of throwing, it uses tracks to control the balls so you can roll them back & forth. The JUGGLE BOARD promotes healthy physical activity and social engagement. Juggling is proven to improve brain function, increase co-ordination, concentration & be a great source of active relaxation. The JUGGLE BOARD manufactured by PLAY was designed in direct collaboration with its creator, Craig Quat. 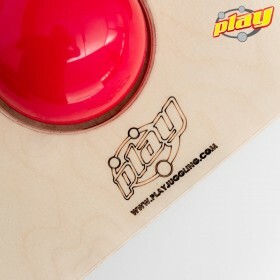 It is built in Italy using high precision CNC routers. 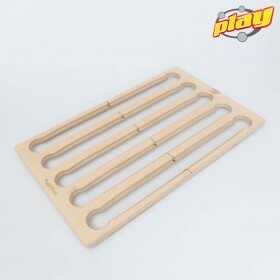 It is made of a single piece of Finnish birch plywood and it's provided with two shoulders that raise it from the ground allowing it to be used on any surface. The birch plywood is characterized by excellent strength and stiffness properties, so it behaves very well in applications that require great strength. Raw materials come from sustainably managed Finnish forests. 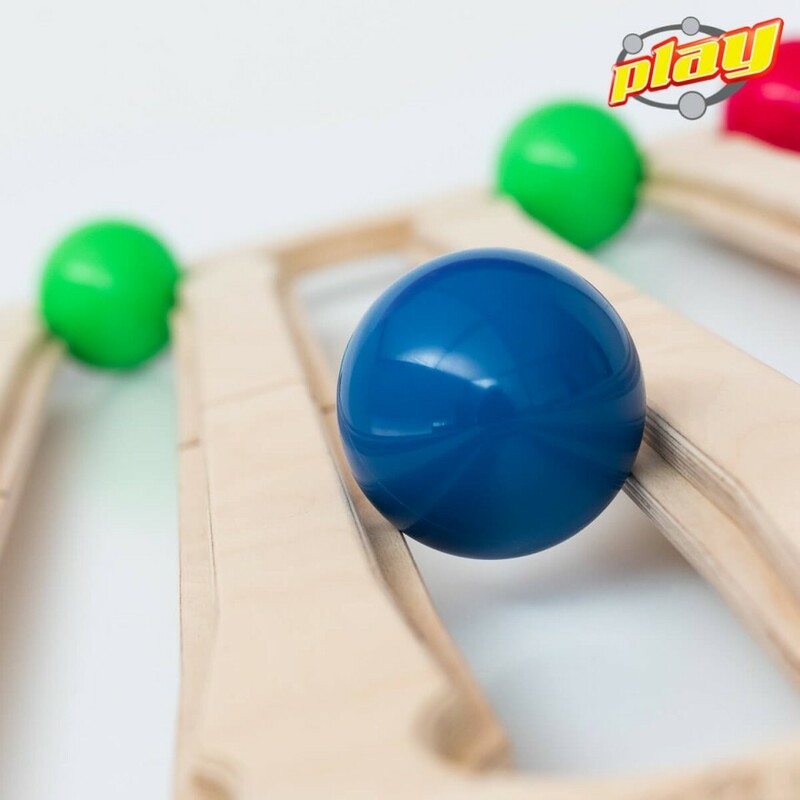 We invite everyone to visit Craig's website to find out more about his outstanding research based on over 15 years of experience, which is gaining the interest of thousands of jugglers, therapists and researchers from all over the world. 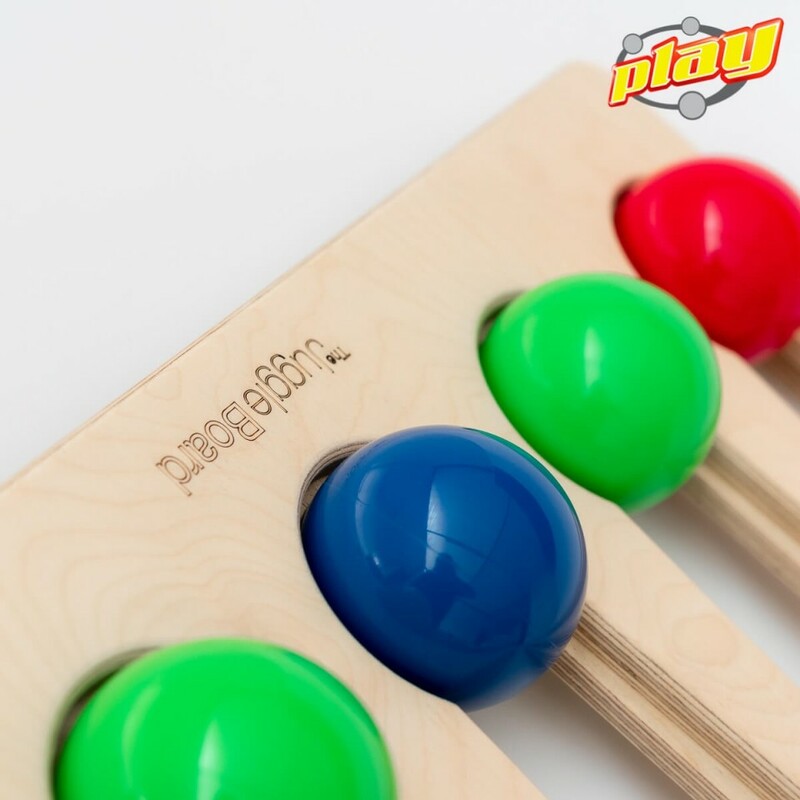 PLAY have been supporting this wonderful project for several years and hopes that through the JUGGLE BOARD and Craig Quat's teaching, more and more people will discover the incredible value of juggling as an educational, therapeutic and recreational activity.